Book a ferry to Stromness with AFerry. 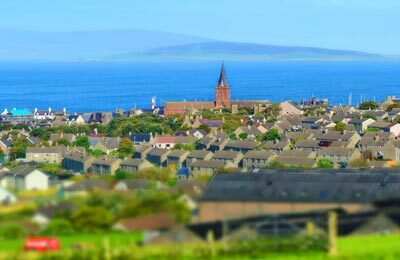 Ferries to Stromness, in Orkney, are available from Scotland. You can take a ferry to Stromness from Scrabster. Ferries to and from Stromness are operated by NorthLink. When you search for a ferry to Stromness, we will always show a range of times just in case it's cheaper earlier or later than the time you select. We'll also show you results for similar ports like St Margarets Hope to help you find the best times and prices to suit your plans. Stromness ferries with NorthLink are known for their comfort and high levels of service, and you will feel like your holiday has begun the moment you step on board. 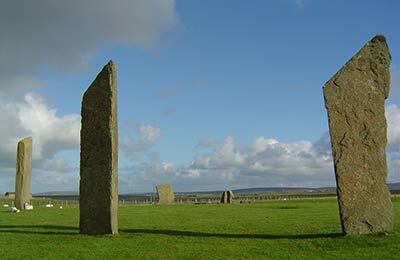 Travelling to Stromness will be easy and hassle free. Start by making your booking today, it's quick and easy. Northlink operates the MV Hamnavoe on the Stromness to Scrabster route. Facilities onboard include comfortable lounging areas. Latest check-in time for the Stromness Ferries is usually 60 minutes before departure for motorists and 30 minutes before departure for foot passengers, but be sure to check with the operator before sailing.